New carpeting and paint jobs played a major role in renovations. A new batch of photos has been released illustrating 1600 Pennsylvania Avenue's facelift, which kicked into high-gear earlier this summer when President Trump began his 17-day working vacation at his golf club in Bedminster, New Jersey. The president returned to the White House on Sunday. 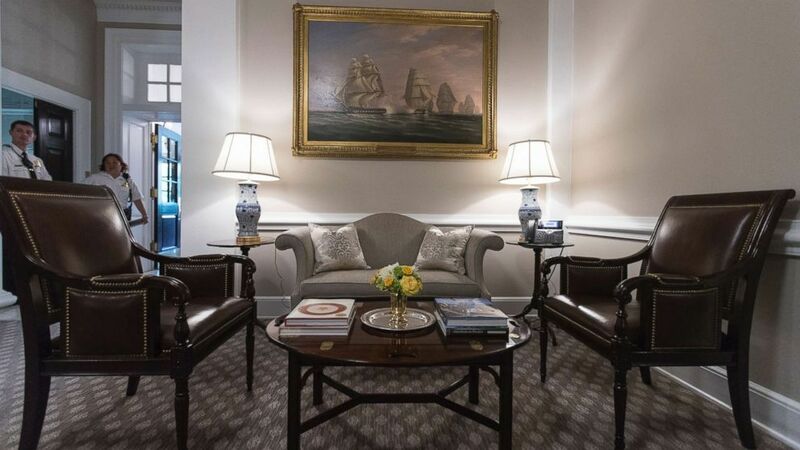 "The White House's newly renovated Roosevelt Room looks incredible," tweeted Cliff Sims, special assistant to the president. All of the renovations were conducted by General Service Administration designers. 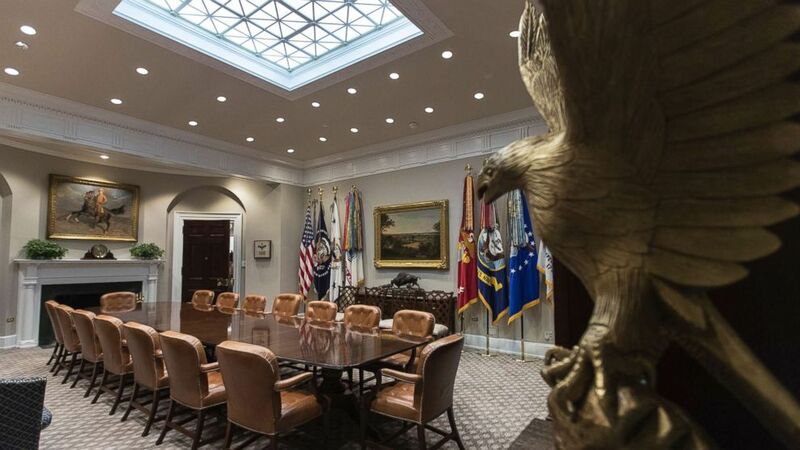 While the White House's rooms were gussied up, a lot of the upgrades are not visible. These include overhauling the 27-year-old heating and air conditioning system and upgrading the IT system. The renovations are apparent from the moment one approaches the White House. The South Portico porch, above, for example, features newly-renovated stairs. 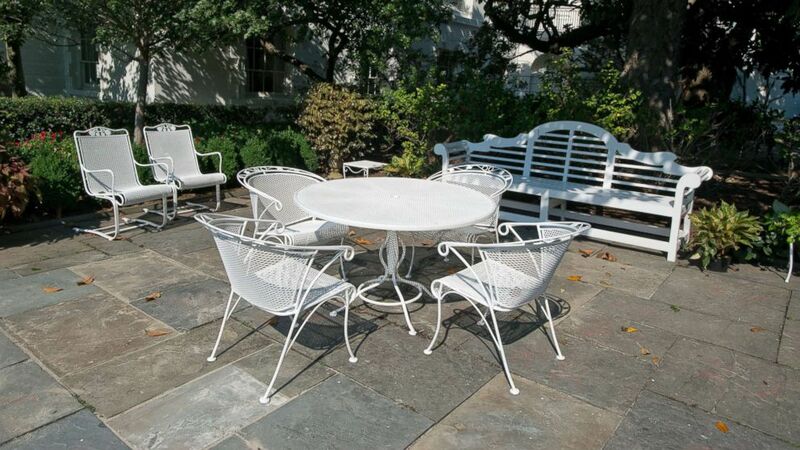 The sitting area in the Rose Garden, below, also received a facelift. (Ron Sachs/picture-alliance/dpa/AP ) The sitting area in the Rose Garden of the White House, Aug. 22, 2017. (Carolyn Kaster/AP) The newly renovated Oval Office of the White House, Aug. 22, 2017. 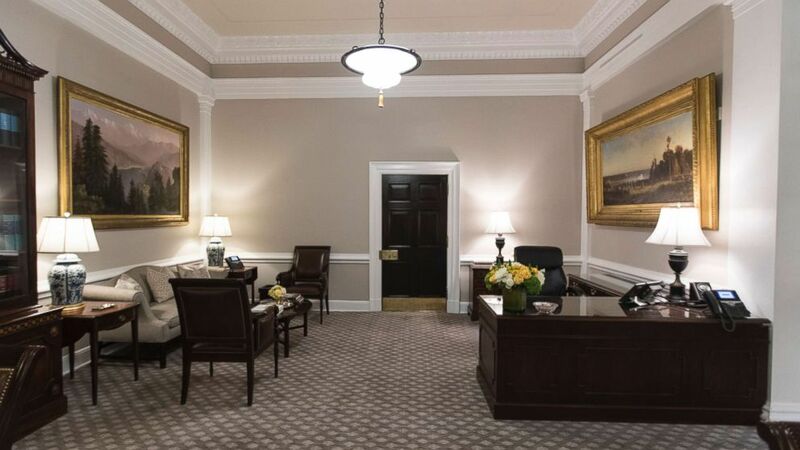 Below, the West Wing lobby was outfitted with new carpeting and paint. The new carpeting features a floral medallion inspired by the White House architecture and the Rose Garden. (AP Photo/Carolyn Kaster) The newly renovated West Wing Lobby of the White House is seen in Washington, Tuesday, Aug. 22, 2017, during a media tour. The new carpeting features a floral medallion inspired by the White House architecture and the Rose Garden. (AP Photo/Carolyn Kaster) The newly renovated West Wing Lobby of the White House is seen in Washington, Tuesday, Aug. 22, 2017, during a media tour. The West Wing was updated with a new heating and cooling system, new carpeting and paint, and some new decorative items. 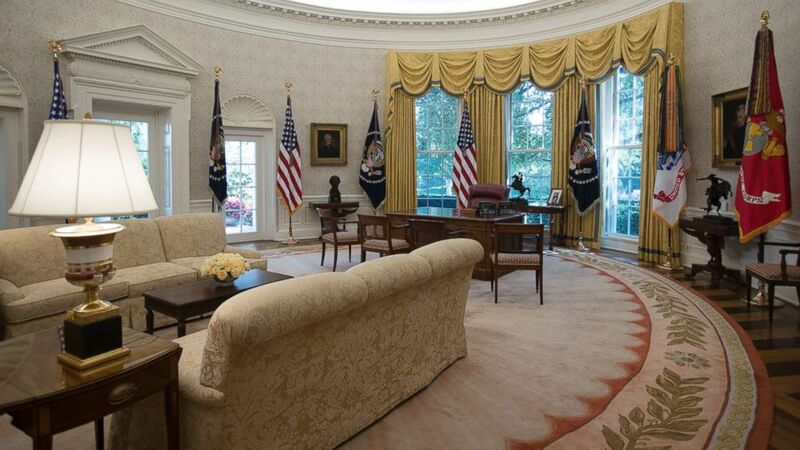 Changes to the Roosevelt Room, below, include swapping out the beige Obama-era carpet for one with a more detailed design. 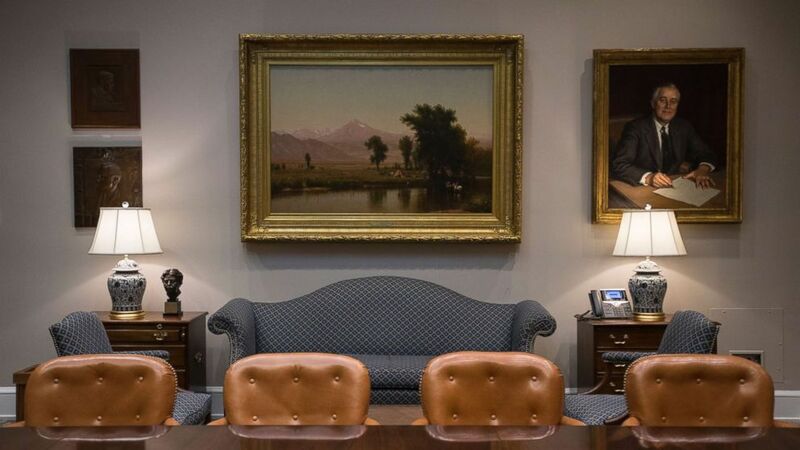 The flags have remained unchanged, as have the portrait of President Roosevelt, the landdcape painting and the sofa. (Carolyn Kaster/AP) The newly renovated Roosevelt Room of the White House, Aug. 22, 2017. Leaks at the White House were also fixed, and the Navy mess kitchen and West Wing lower lobby were also renovated. Trump took to Twitter earlier this month to deny a golf.com report that while speaking with members at the Trump National Golf Club, he said the White House is a "dump." "I love the White House, one of the most beautiful buildings (homes) I have ever seen," he tweeted. "But Fake News said I called it a dump - TOTALLY UNTRUE."